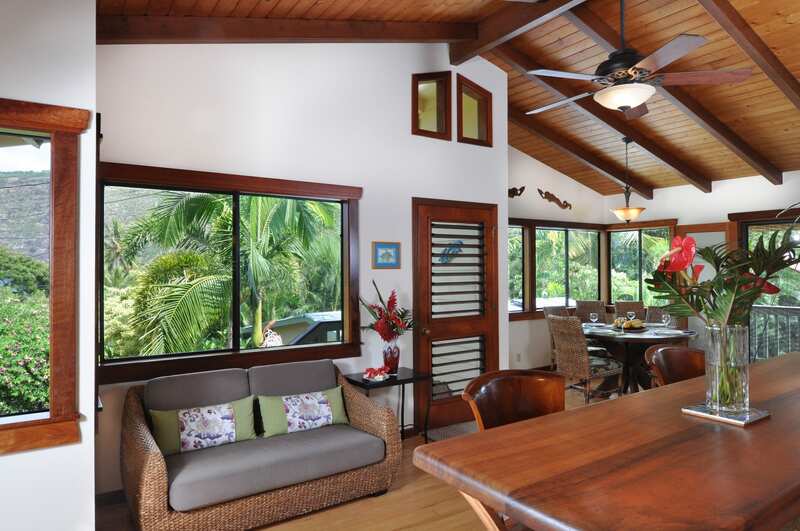 The beautiful Dolphin Bay House is centrally located to many of the best island attractions. 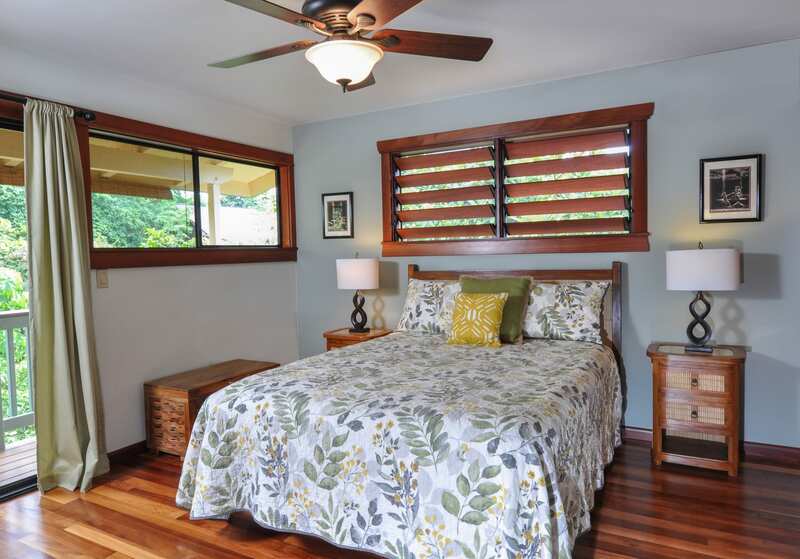 Best of all, it is situated only 300 feet from enchanting Kealakekua Bay. 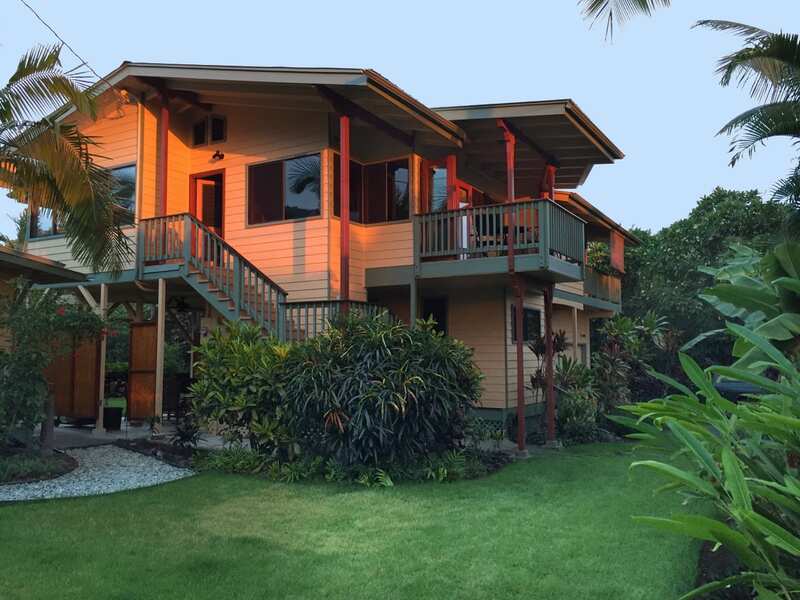 A spacious 3 bedroom/3bath Hawaiian vacation home nestled against gorgeous Kealakekua Bay, a Marine Sanctuary in South Kona. 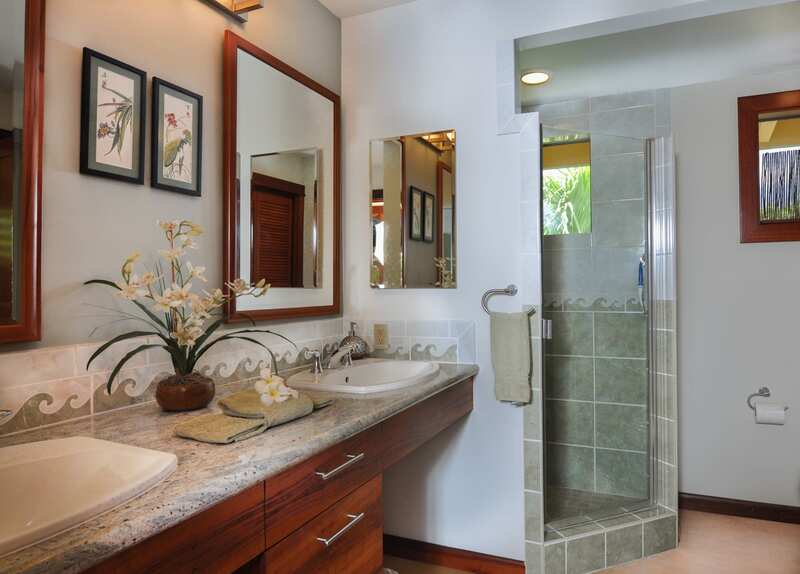 This 2,000 square foot home is beautifully furnished in tropical style and is appointed with everything you need for your stay. 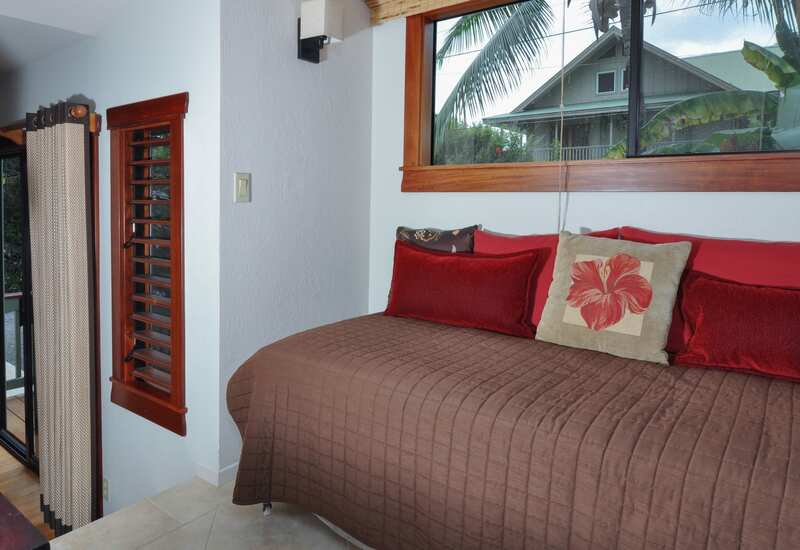 Dolphin Bay House accommodates 2 - 7 guests, and you will have use of the entire home while a guest with us. 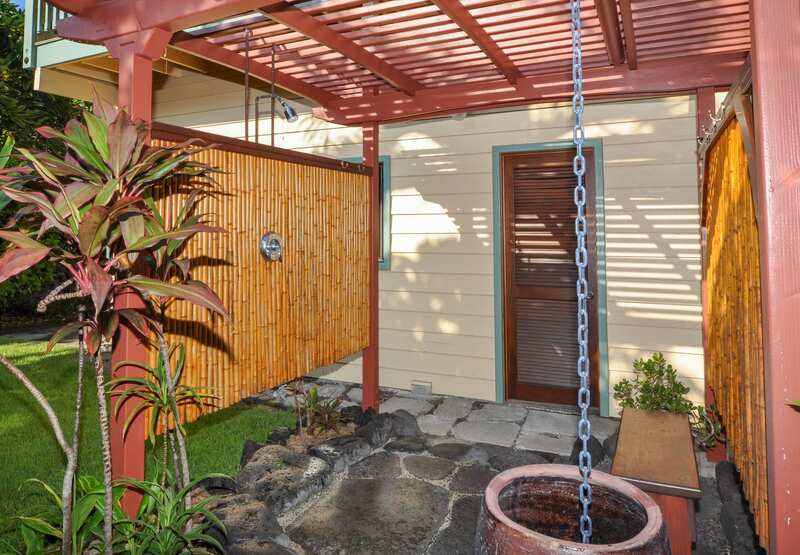 1) As is the Hawaiian custom, all shoes shall be removed prior to entering the house. 2) Quiet time is from 10 pm to 8 am. Please be mindful of our neighbors, we all have windows open day and night. 3) No parties, gatherings, weddings, receptions or any other type of event is allowed. 4) Do not hang wet towels, bathing suits, wet suits, etc on any railings. Use the clothes line off the breezeway. 5) Do not bring sand inside: use the outdoor shower and hose to clean sand from bodies, feet and gear. 6) No smoking is permitted anywhere on the property. 7) No pets are permitted. Do not feed or invite local cats or dogs inside. 8) Do not move or rearrange large pieces of furniture. 9) Do not disconnect the TV or wi-fi modem. 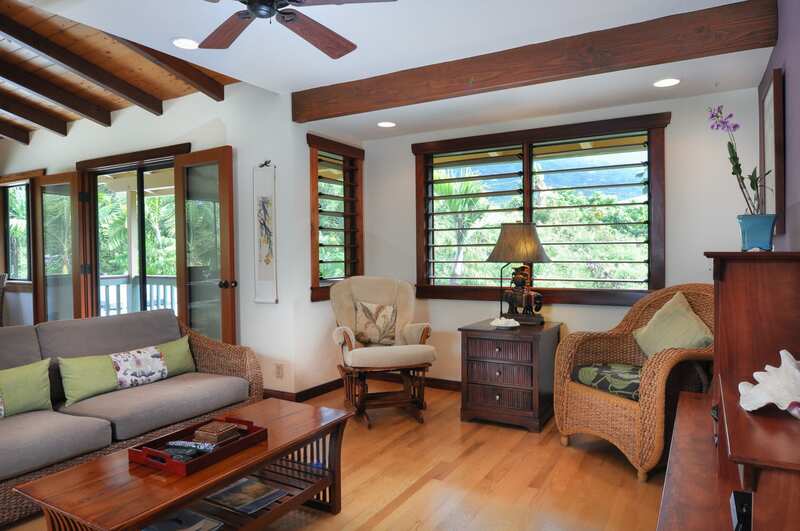 A spacious 3 bedroom/3bath Hawaiian vacation home nestled near gorgeous Kealakekua Bay, a Marine Sanctuary in South Kona. 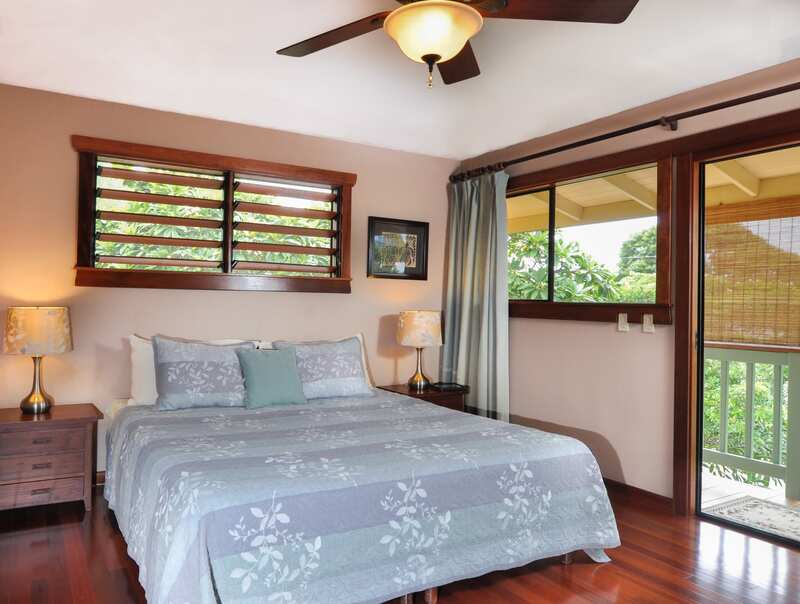 This 2,000 square foot home is beautifully furnished in tropical style and is appointed with everything you need for your stay. 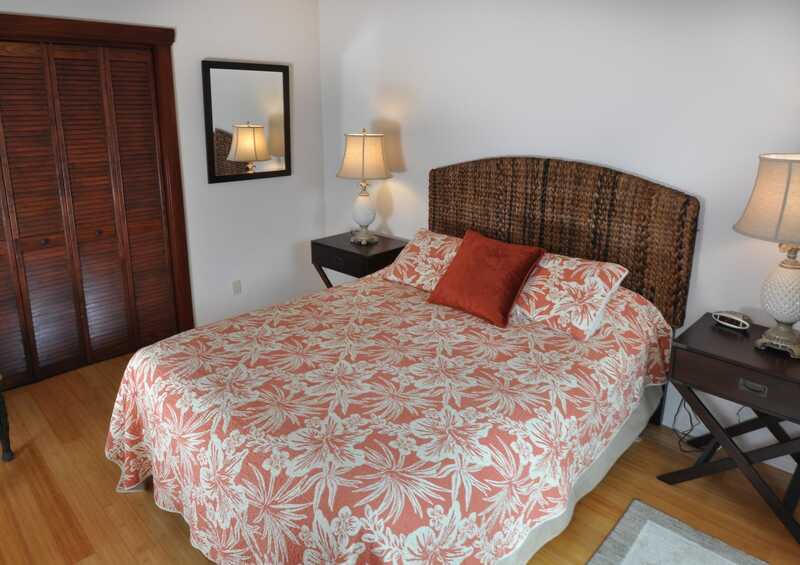 Dolphin Bay House accommodates 2 - 7 guests, and you will have use of the entire home while a guest with us. The living room, kitchen, dining room and two bedrooms are located on the second floor. 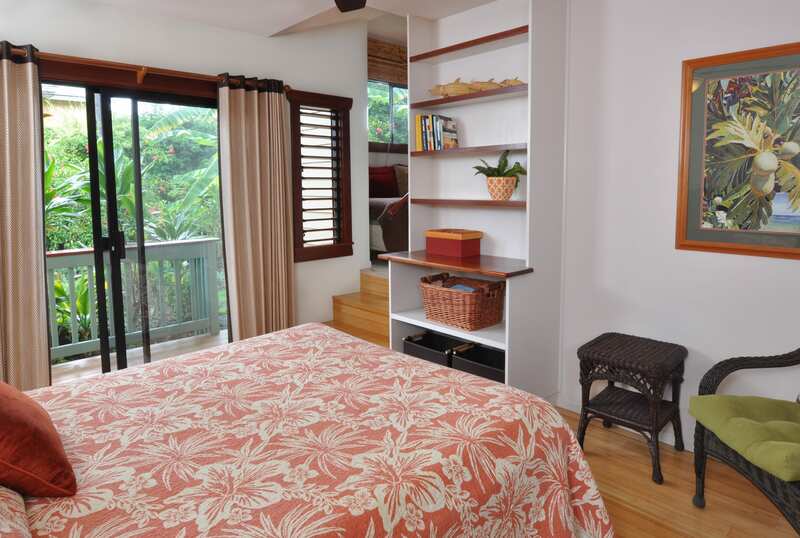 The private and quiet third bedroom, on the ground floor, has it's own bathroom and sitting area with twin bed. 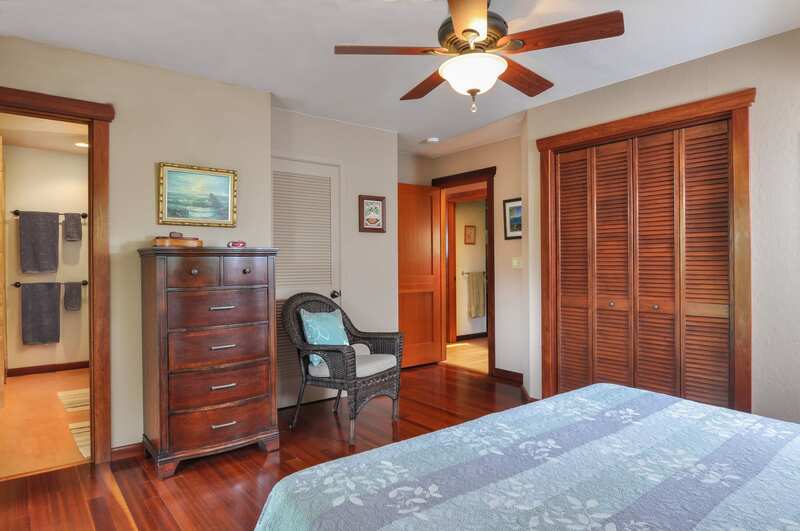 This bedroom is only accessed through separate entrances off the breezeway and the front yard. There is not an indoor stairway to the upper level. 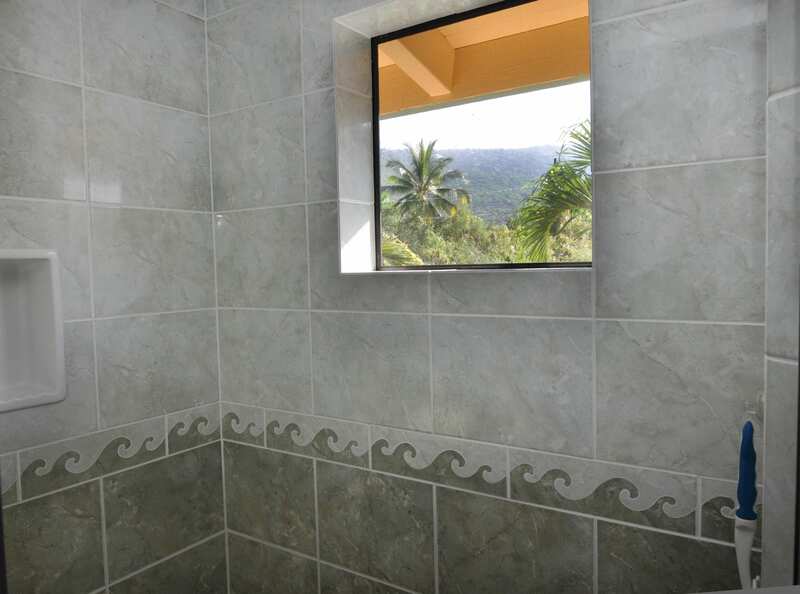 Each bedroom has an attached bath with beautifully tiled, walk-in showers. 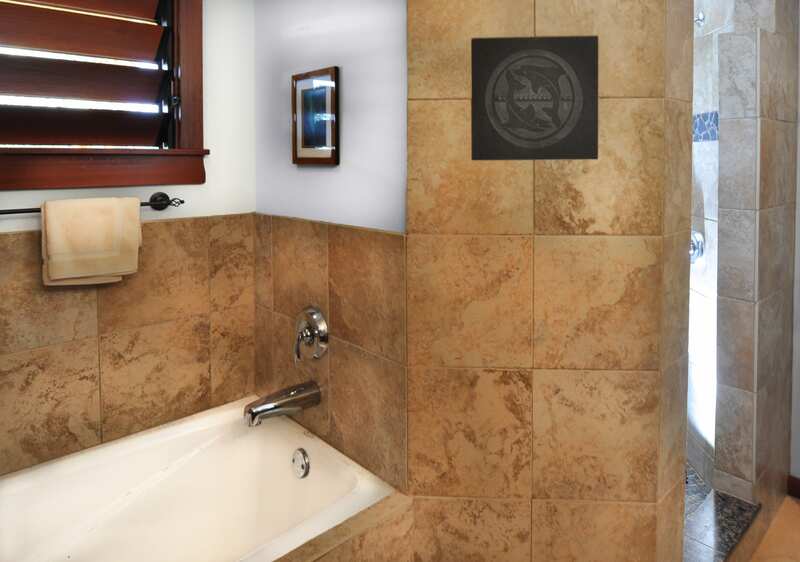 There is a deep, soaking tub in the master bath. 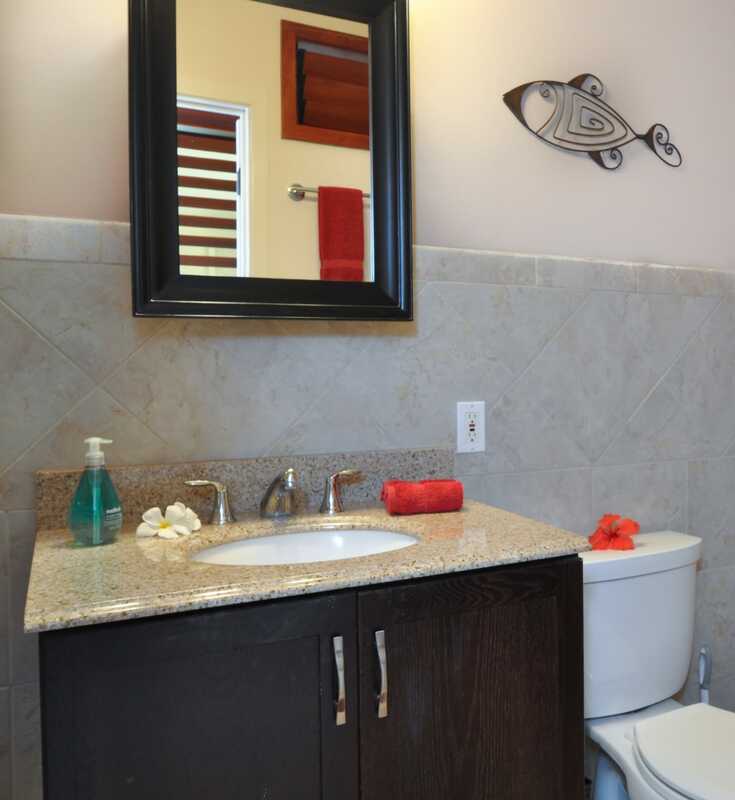 Granite countertops with two sinks in each of the upstairs baths add to the beauty and convenience. Many guests say "the photos don't do it justice!" 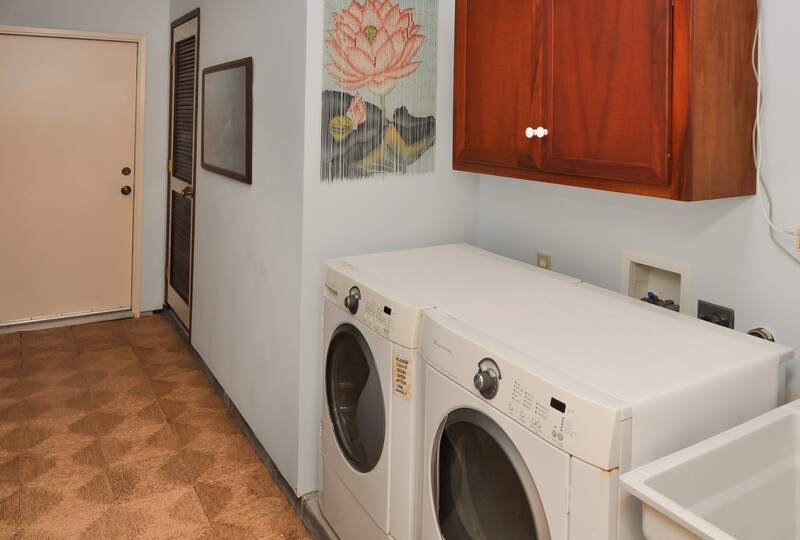 Our fully equipped kitchen has granite countertops, top-of-the-line appliances, two sinks, filtered drinking water, coffeemaker and grinder, blender and all cooking and serving utensils you’ll need. 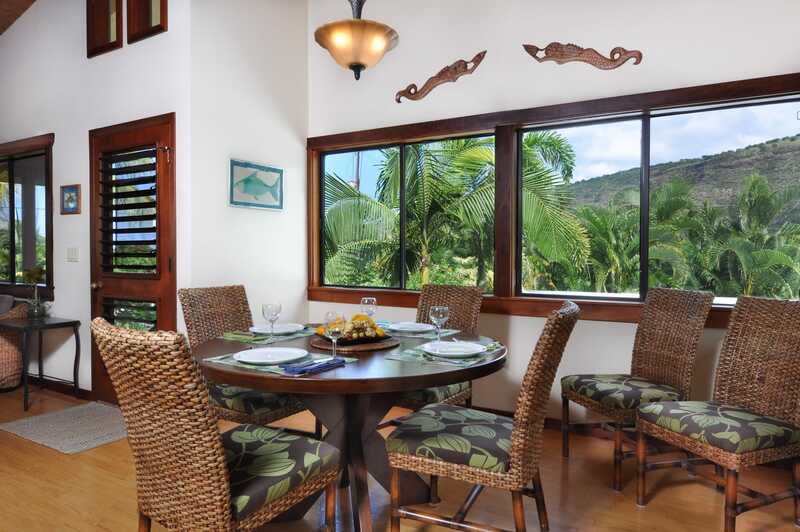 The living room, dining room, and lanai catch the tropical breezes in a true relaxed Hawaiian manner. 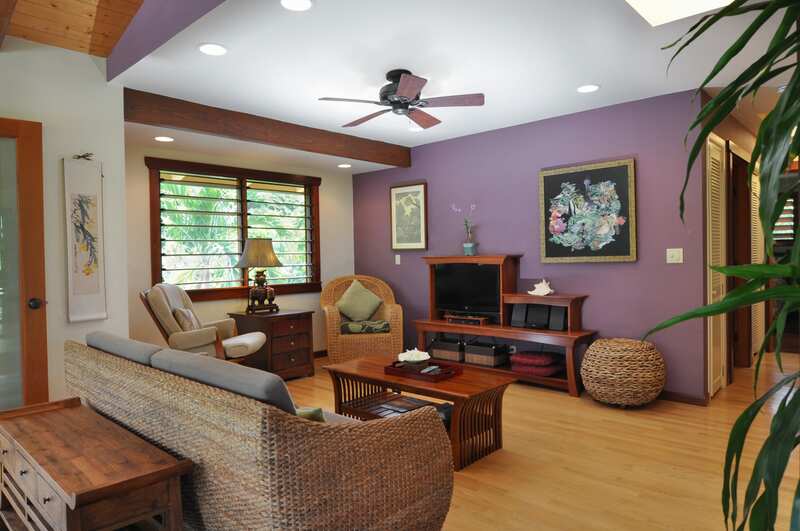 Relax on the lanai and watch as another spectacular Hawaiian sunset plays out before your eyes . . . truly a place to unwind and enjoy life! The lush landscaped areas hold surprises around every corner. Orchids, ferns and many varieties of palms grace the area. 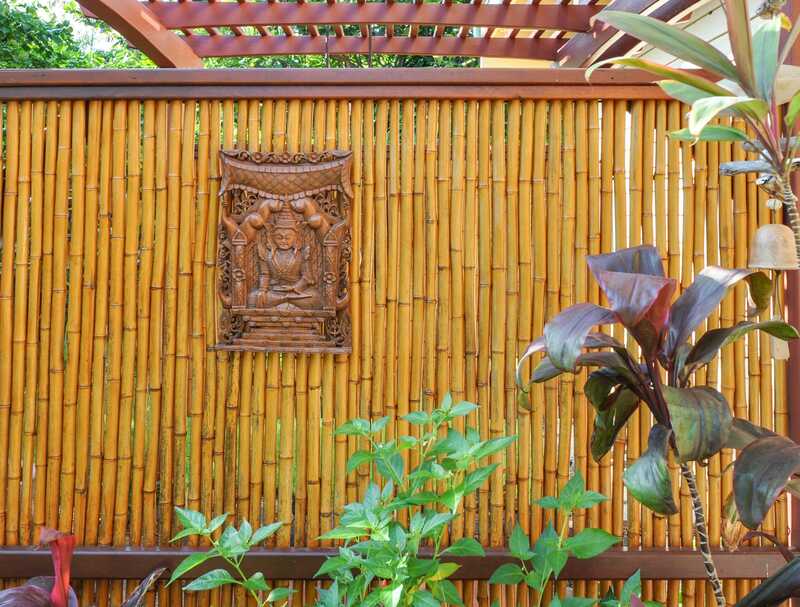 From the outdoor shower you can enjoy the view of the potted herb garden, bamboo and ti, which is used in many Hawaiian ceremonies. You may find ripe pineapples in summer, grapefruits and tangelos in winter. Bananas and coconuts may be ripe at any time. We thoroughly enjoyed our stay at Dolpin Bay House this past August. What a gorgeous, well loved and maintained house. 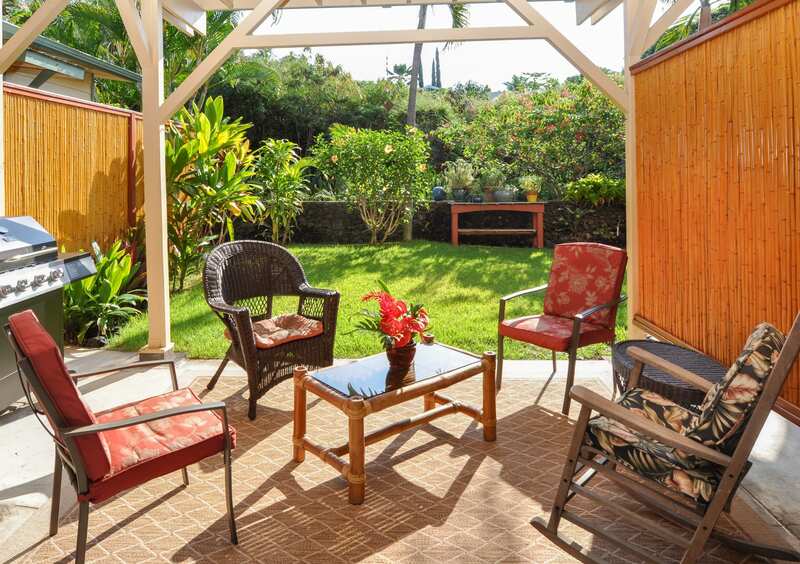 Looking out the main living area you are surrounded by lush greenery and are a half-block from the beach. 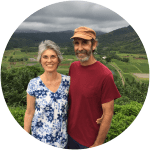 We first came to Kealakekua Bay last summer and returned this year when we had a chance - and were so pleased to stay at Dolphin Bay House. 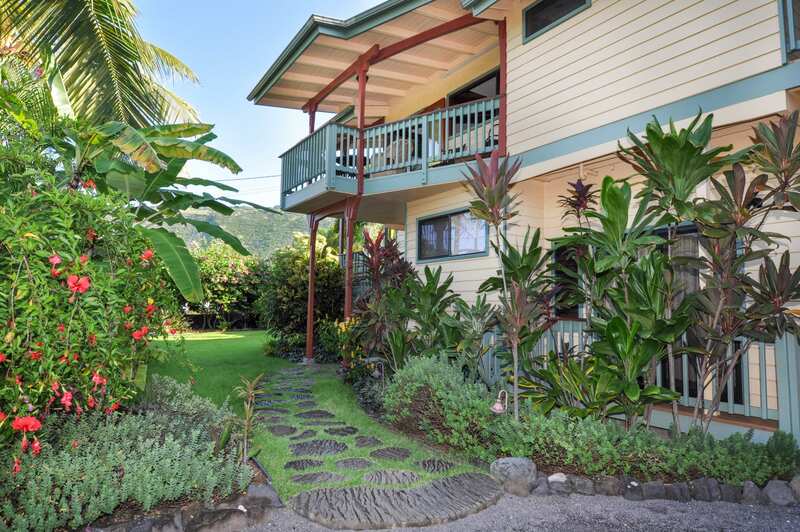 There is nothing better than to take the two minutes to stroll to the beach to do some world class snorkeling, swim or take in the sunset on Manini Beach's grass lawn. We would come back anytime. 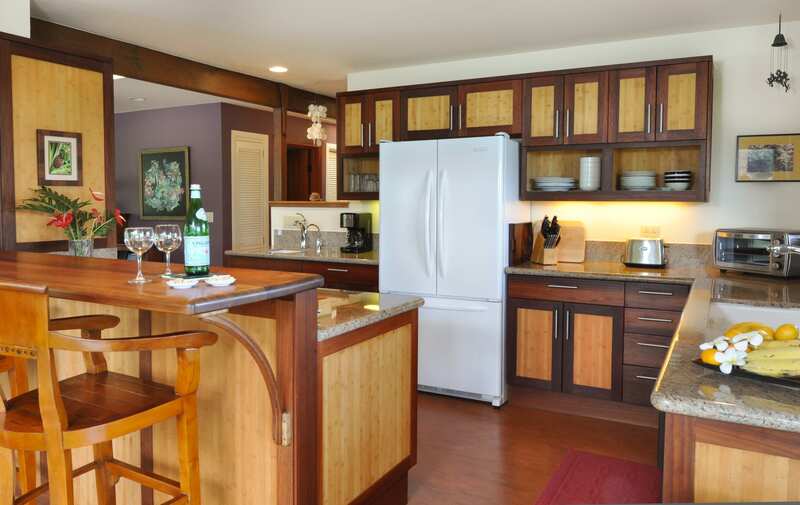 Dolphin Bay House is very comfortable and its kitchen has everything you need. We are both cooks and we appreciated the wide variety of pans, cooking utensils, etc. at our disposal. Krista, Dolphin Bay House's caretaker was very helpful and accessible. We were three, just using the upstairs but Dolphin Bay House seems like a great place to visit with extended family. 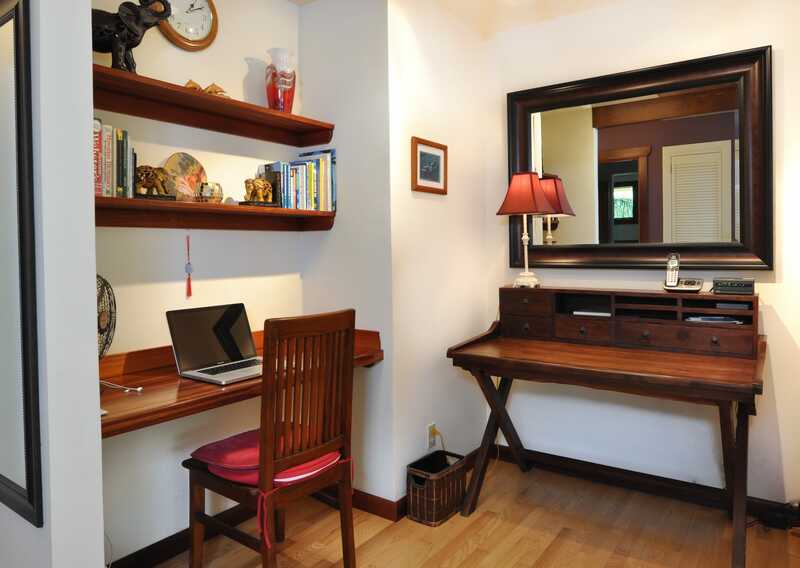 You could use the downstairs bedroom and rent out the studio. 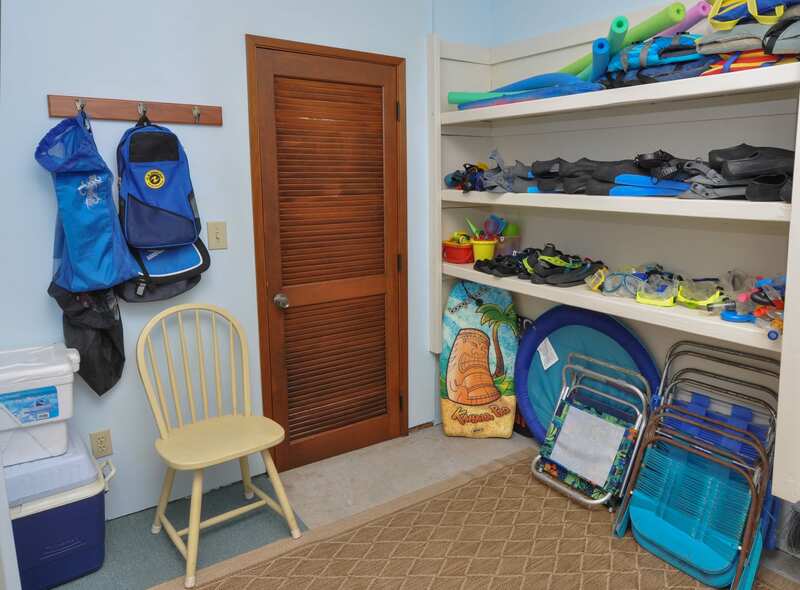 We often stay at vacation rentals while traveling and Dolphin Bay House ranks amongst the best. I highly recommend it. An amazing home! The house was well appointed and stocked with everything we needed. We cooked all our breakfasts and all but one dinner at "home" and had everything we needed. There is a guest journal on the bar in the kitchen and the kids had a great time reviewing all the stories from other guests. 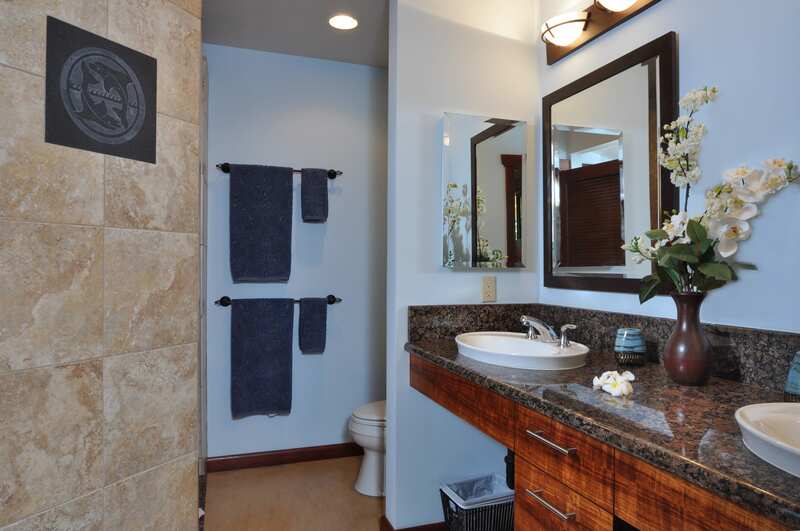 The upkeep is very good and the master bath didn't disappoint! The 3rd bedroom is downstairs with it's own entrance, so for younger kids this might not been the best -- sort of a "mother in law" setup. 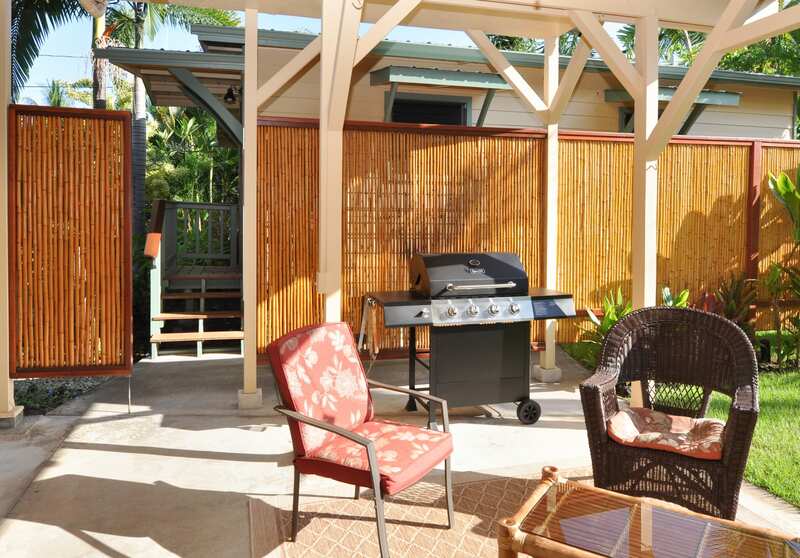 The grill and outdoor space is excellent as well. 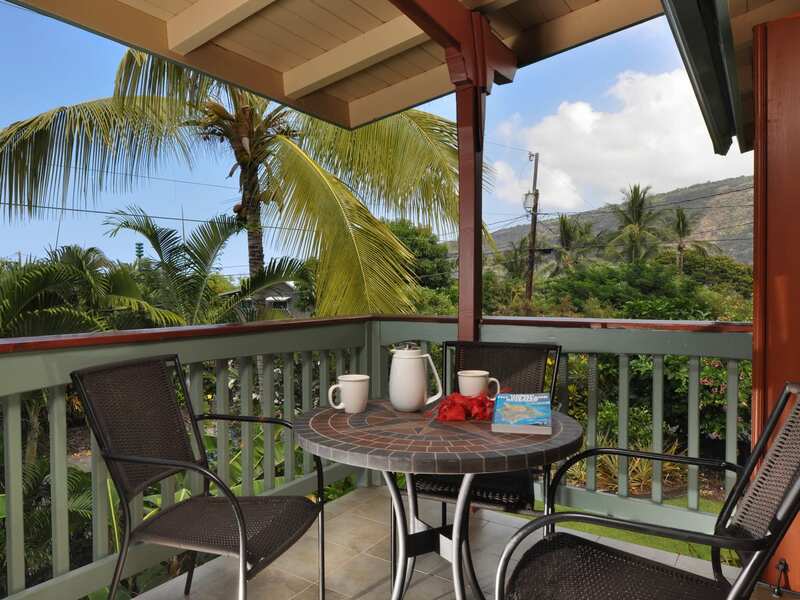 The covered patios were a perfect place to wake up with a cup of coffee and watch the birds. The neighborhood is tight on space -- single lane roads, etc not a problem but it would make a caravan of vehicles difficult to park. We would certainly stay here again. From the moment I stepped foot onto the Dolphin Bay estate I felt like I had entered another world. The landscaping was out of a tropical wonderland (many yards of rentals are the least attended to aspect of the property.) The house was furnished and decorated in the exquisit decor of a well-loved home (nothing had the feel of a rental property, from the gormet kitchen to the well-appointed office area, art work and interior and exterior archetectural details.) I went snorkeling every morning with the clean, up-to-date gear provided at the estate. 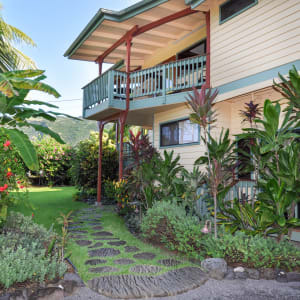 The bay is teeming with colorful tropical fish, sea turtles, eels, even dolphins at times.The spaciousness of the three individual living spaces provided me and my extended family with privacy. 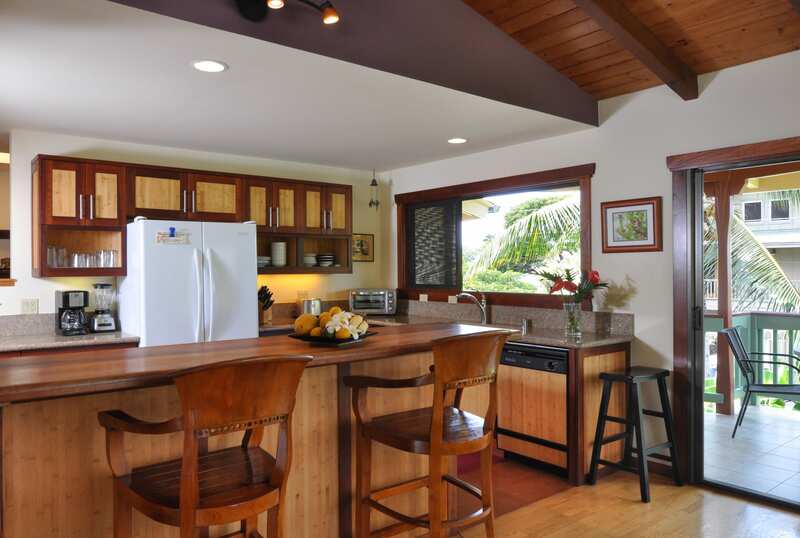 The kitchen, dining area and family room gave us a place to gather and plan our adventures around the island. 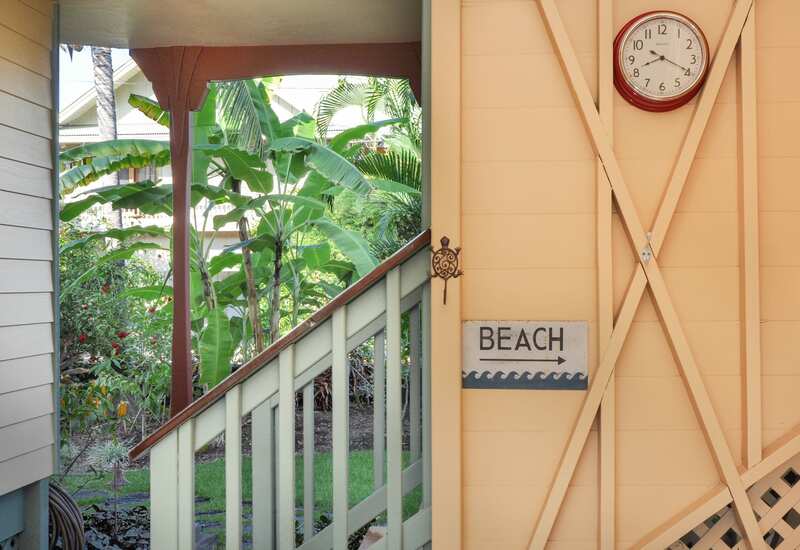 We made memories that will last a lifetime.I highly recommend Dolphin Bay House and Cottage to any family wanting to visit the Big Island and stay in a property that truely feels like home. This Home Feels Like A Home Away From Home. 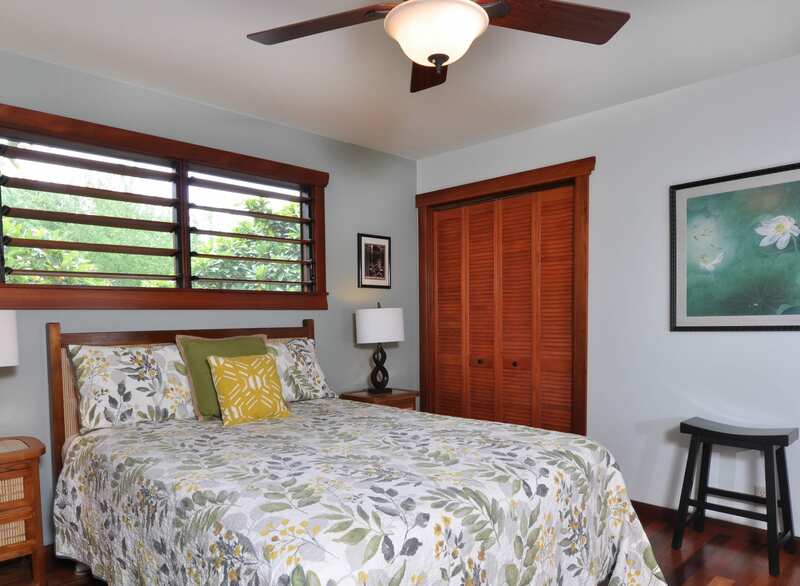 The house is cozy and comfortable, has plenty of room and is well located near the park. Definitely get a feeling of community here. Everything that we needed was available. We liked the outdoor shower a lot. We have stayed at Dolphin Bay House for 2 weeks every year for the past 5 years. It is an absolutely beautiful place. The whole area is what the world should be like. On the road out of the area are a couple of roadside stands where you can buy local fruits, flowers and lei's. These stands are serve yourself and pay on the honor system. The pictures on the web site are not exactly accurate. The house is much more beautiful and roomy than the pictures portray.